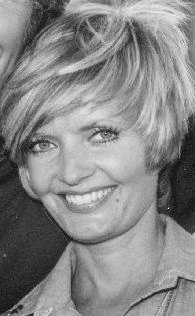 Florence Henderson went from Broadway star to becoming one of America’s most beloved television moms in The Brady Bunch. Her most widely recognized part was as Carol Brady. The sitcom aired on ABC from 1969 until 1974. Henderson’s best friend, Shirley Jones, had turned down the role to spend more time with her family. Primarily owing to her performance on The Brady Bunch, Henderson was ranked by TVLand and Entertainment Weekly as #54 on their list of the 100 Greatest TV Icons. Prior to the iconic program, Henderson began her career as a 19-year-old drama student in New York when she landed a one-line role in the play Wish You Were Here. Richard Rodgers and Oscar Hammerstein II were so impressed, they made her the female lead in a 1952 road tour of Oklahoma! When the show returned to Broadway for a revival in 1954, she continued in the role and won rave reviews. She went on to play Maria in a road production of The Sound of Music; was Nellie Forbush in a revival of South Pacific; and was back on Broadway with Jose Ferrer in The Girl Who Came to Supper in 1963. Her career nearly ended in 1965, when she suddenly lost her hearing while appearing in The King and I in Los Angeles. Corrective surgery resolved the issue. As her television career blossomed, Henderson made frequent guest appearances, including Password, I Spy, The Dean Martin Show, The Love Boat, Hart to Hart, L.A. Law, Alice, Fantasy Island, Murder She Wrote, Roseanne, Ally McBeal, The King of Queens, and 30 Rock. She was the first woman to host The Tonight Show for the vacationing Johnny Carson. For eight years, Florence also commuted to Nashville to conduct a cooking and talk series, Country Kitchen, on The Nashville Network. She was the host of her own television series, The Florence Henderson Show on Retirement Living TV. In February 2013, she began hosting her own cooking show, Who’s Cooking with Florence Henderson, on RLTV. She was the spokesperson for Wesson Cooking Oil from 1976 to 1996. She made her movie debut in 1970 in Song of Norway. Henderson also had a cameo as Carol Brady’s mom in The Brady Bunch Movie. Three days before her passing, Florence appeared on Dancing With The Stars, giving moral support to Maureen McCormick, who played the popular Marcia Brady. She was partly old-school small-screen mom, as perfectly groomed and poised as Harriet Nelson in The Adventures of Ozzie & Harriet or Barbara Billingsley’s June Cleaver in Leave it to Beaver. But Henderson’s own sass, warmth and strength made Carol Brady the right surrogate mom for the changing 1970s. For viewers who came of age during The Brady Bunch years, it was Florence Henderson who more than earned the honor. A couple of years back, I met Ms. Henderson, and found her to be quite warm and engaging. She was unassuming and down-to-earth. This entry was posted on Friday, November 25th, 2016 at 1:10 am	and is filed under Blog by Manny Pacheco. You can follow any comments to this post through the RSS 2.0 feed. Responses are currently closed, but you can trackback from your own site.